OUSILONG always take “ improving the human living environment ” as her own duty, devoting to invent eco-friendly aluminum ceilings and other new products. With the philosophy of people oriented & good faith, by virtue of OUSILONG brand influence, sales network, and R&D capability, we’ll sustainably launch more safety, energy saving, eco friendly and fashionable products to meet all customers’ needs. Industrial and civil buildings, special buildings, large span steel structure, interior wall decoration, exhibition halls, airports, stadiums, shopping mails, railway station, airport, big clubs, airport, hotel, residential ceiling, building decorative material market etc. S shaped Strip Ceiling has flat surfaces effect, beautiful & concise lines, class A2 fireproof, nice moisture proof and easy for installation. The ceiling is easy to saw or cut into special shape, and convenient to maintain. 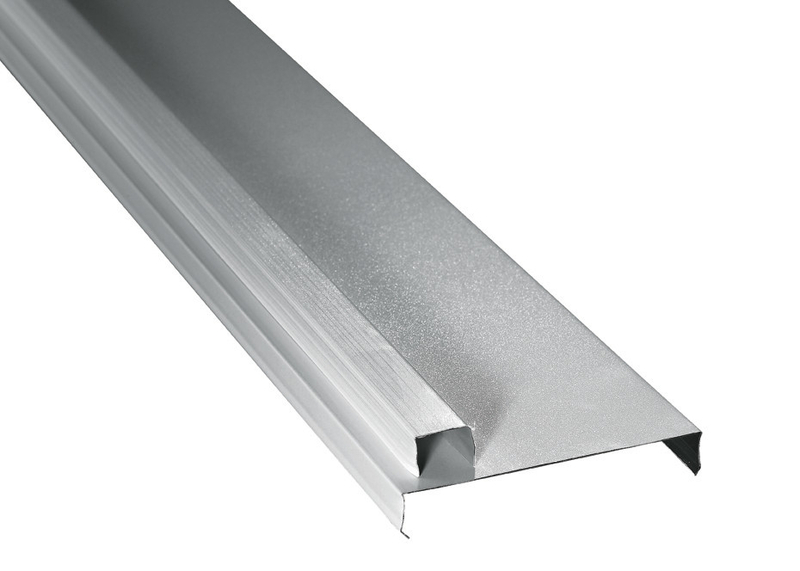 S shaped Strip Ceiling has two kinds of edge profile: right (straight) angle & beveled angle, and width choice of different perforation. 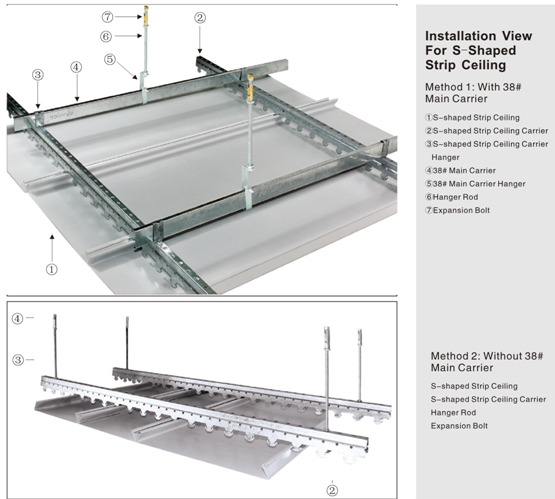 S shaped Strip Ceiling can be easy installed by either of the installation method below: with or without the 38# main carrier.